OurOne&Only's storage bottles for breastmilk is versatile and compatible with most breastpumps that fit wide neck bottles; you'll be able to pump directly into the bottle for ease of use. They're made of 100% food grade polypropylene for safer and longer storage, and can hold up to 190ml per bottle. 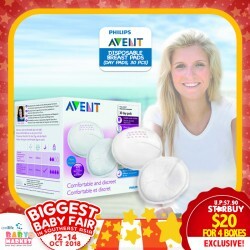 Their compatibility with breastpumps, non-toxic materials, and easy-on-the-wallet prices make them a great recommendation by parents. Made of 100% food grade polypropylene (PP) for safe & longer storage. 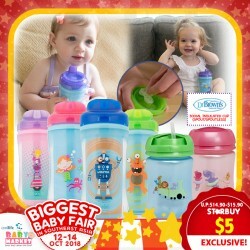 Compatible with most breastpumps (Medela, Ameda, etc) – can pump directly into the bottle. Printed Clear ounce/ml markings for visibility. Through the generations, mothers adore the goodness and high nutritional value of chicken soup, which is suitable for everyday consumption. 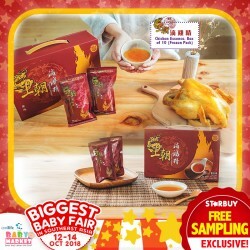 Wang Chao’s Chicken Essence, known for its certified stringent production of 100% pure chicken essence products, is highly reputed and highly recommended by consumers in Hong Kong. Led by brand ambassadors such as 葉翠翠, Wang Chao has become a household brand, a part of the daily diet for the busy women and mothers who have benefited from the top notch quality of Wang Chao’s products. Wang Chao has landed on the Singapore shores and aims to be your best companion for a healthier life! Especially for pregnant mummies and those who are in confinement, Wang Chao Chicken Essence is an important supplement to nourish the body, restore vitality and strength, and help mummy to boost more breast milk supply for baby. Conveniently packed for each serving, it's hassle-free to enjoy the natural goodness of chicken essence and all you need is just 3 minutes. LITTLE ME - DOOR STOPPER! The feature of which is self-adhesive with strong adhesion tape, no mark, no damage, with strong capacity. Childproof your home with these essentials and protect your baby. Tiny Love's Take-Along Mobile is definitely… mobile! It's fun and colorful, and you'll be able to literally take it along with you wherever you go. 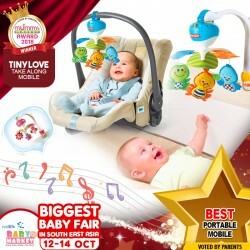 It has 5 melodies to entertain baby, and is easy to snap on to most car seats, strollers, and bassinets. Lots of design and colour options for mummies and daddies to choose from! Babymoov is a French company attentive to parents' needs which creates innovative products to support them during their moments of joy with their child. Baby's sleep is one of the parents' priorities because it is part of the baby's development. 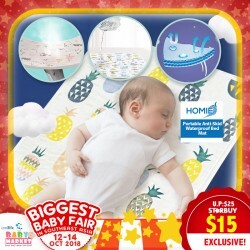 To guarantee peaceful nights for both, baby and his parents, Babymoov designed a complete comfort range to ensure the well-being of your baby: the Cosy Range. Reflux, colic's, incorrect breathing. these are diverse factors that interfere with your baby's sleep and well-being. Placing your baby in a specific position ensures an optimal protection. For that purpose Babymoov created the Cosymat which is ideal for ensuring the perfect position to your baby. The Cosymat features a 15 Degree inclination and an ergonomic shape. This position is highly recommended by pediatricians to help breathing and digestion. The Cosymat is also machine washable (30 Degree) thanks to the removable cover. Babymoov has a lifetime warranty: please register your product within 2 months. UNIVERSAL: its ergonomic shape and its size (23.23 x 22.83 x 3.94 inch) make it a perfect fit for most cribs, cots, bassinets or cradles. 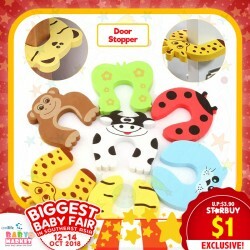 Bundle of 4 = 120pcs @ only $20.00!! 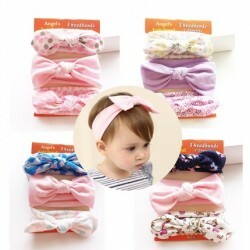 Accessory for your little one to look even cuter with our gorgeous designs! Memory foam anti - slip bath mat! Give your legs spa like feel when you step on it!!! Strong water absorbing capacity with slipless for security. Made from plush memory foam material. Availabe in different colours to be choose at the booth!!!! Many Cute Designs to Choose From!! 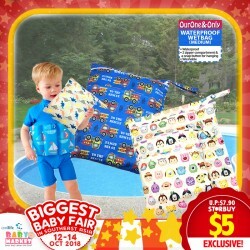 Wetbag is a washable, waterproof bag with 2 zipper compartments and a snap button strap handle to store diapers and wet clothing for outing use. 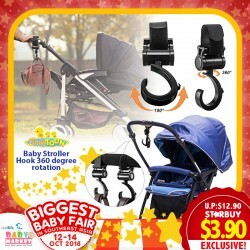 The 2 compartments can be used for separating the wet and dirty clothes from the clean ones and the snap button strap handle can be used to attach the wet bag to the stroller. 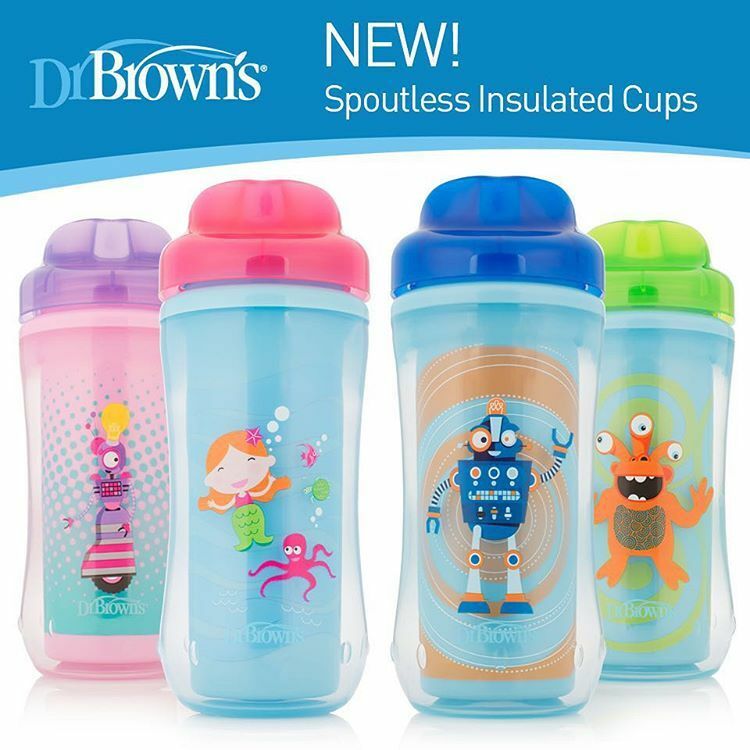 his leak-proof, easy flow cup is convenient for home and on the go as toddlers learn and improve their cup drinking skills. "We love this cup and have bought several. I love that it twists to shut and we can throw it in a bag without worrying about leaks. It also comes apart quite completely for washing. (I have a couple other cups that have gotten moldy and couldn't be cleaned. If you pull apart the pieces, you can throw it in the dishwasher or use a little brush and get at everything.) Yes, I do sometimes get the siphoning effect, but it's just a little squirt of water. It might be more annoying if you give your kid milk or (gasp) juice, but we're a water crowd. Our son has used this happily since he was about 8 months old." I-angel's Miracle Hipseat Baby Carrier gives parents a multitude of carrying options, with a removable hipseat that provides additional support for both baby and parent. Their carriers come in a variety of fun colors and can be used up til baby is 3 years old. Can use it as a Stand-alone Hipseat! Can use it as a Hipseat Carrier! Can use it as a Baby Carrier too! SUPER VERSATILE!!! Even has multi-positions for each usage! I-Angel carriers also support and wraps bottom in smooth and comfortable manner, creating a natural M shaped seating position to provide the optimal comfort and prevents undue pressure to the hips! And what makes i-Angel Miracle so unique is its leg seat - IT CAN BE ADJUSTED!!! depending on your baby's growth and positioning! From narrow (15cm) to wide (38cm)! The carrier also comes with cushioned mesh shoulder pad for the wearer's comfort, as well as an all season cover! 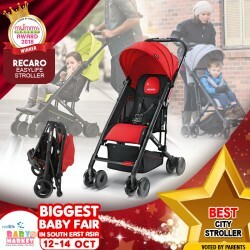 Suitable from 3 months to max weight of 20kg! And with newborn pad, can use from birth!